Hi all, somebody was working on my car who really shouldn't have been- they messed a few things up which i have sorted,and the only thing left is the wiring to the ign switch. could somebody tells me what goes where? i am guessing that you have somewhere between a 54 and a early 60s model..
and chance of a year??? 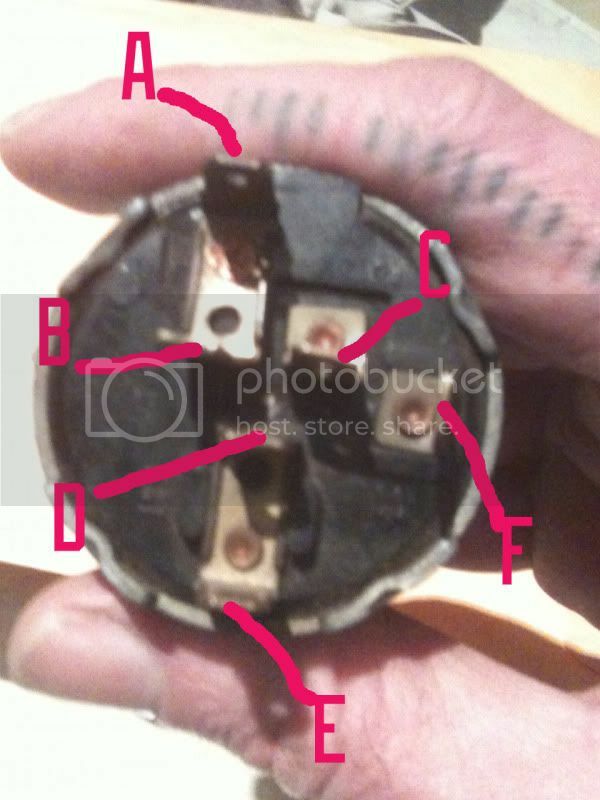 in 55.. there are 4 pink wires... a red, a yellow, and a purple..
in a 60.. there are 2 pinks.. a red, a brown and a violet. did you know.. that i was standing in an autozone one day... there was a long line.. the korean fellow in front of me had ONE spark plug. and six exhaust studs.. i noted the number on the ac delco spark plug.. it was a CR-43TS.. the line was still barely moving.. i pointed out that the spark plugs for his 4.3 astro van are behind the counter.. but the studs are hanging on the wall down the isle we are standing in front of... his jaw dropped.. ask me how i knew what kind of car he had.. i said.. i'm a professional mechanic.. i have to know what parts fit what car.. yea. but how did you know.... this is all i have.. i just smiled.. i think i blew his mind.. i did not tell him it was just an educated guess.. and that CR43TS spark plugs mostly fit astro vans.. they use then as they are in a pain of a spot to change..
as in half plugged in that is.. If it is burned out, there should be No continuity between any of the the switch poles. meaning they will all be an open circut. If thats the case. Those are marked A,B,C,D,E,F.